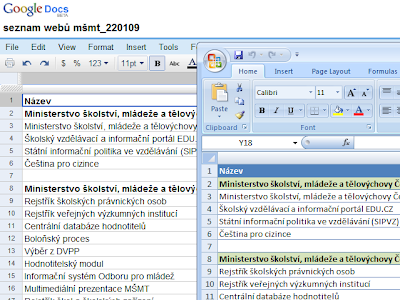 You can also upload .pdf files to your Docs list. Each spreadsheet can be up to 256 columns, or up to 200,000 cells, or up to 100 sheets -- whichever limit is reached first. There's no limit on number of rows. You have a limit of 1000 spreadsheets. The spreadsheets that are shared with you do not count against 1000 limit. The limit on spreadsheets open at one time is 11. You can import spreadsheets up to approximately 1 Mb in xls, xlsx, csv, or ods, txt, tsv, tsb format.